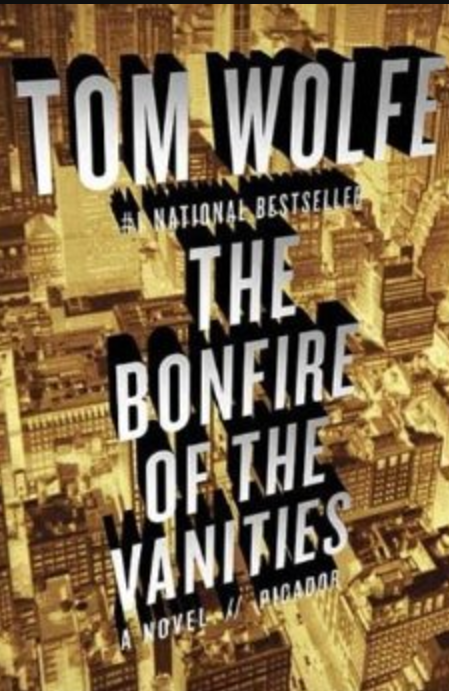 Because of the length of Tom Wolfe’s The Bonfire of the Vanities, I was willing to read the first 75 pages to get to the heart of the story. After all, Wolfe writes very well. When I reached the inciting incident, what the Amazon summary calls “a freak accident in the Bronx,” I thought I was at the beginning of an important story, one that would explore the disparity in the conditions of life for the rich vs. the poor, for whites vs. persons of color and even, perhaps, begin to explain the source of the inequities. Instead, the inciting event, the “freak accident,” serves only to point out exactly what the title promises—that all is vanity. While Sherman McCoy may be the central character in this novel, and the only character whose life at the end differs significantly from what it was at the beginning, he is no more likable than any of the other players, each of them involved only for what they can get out of life to polish and prop up their images and reputations. He makes a wrong turn after picking up his mistress at the airport and ends up in the Bronx, a part of New York that he knows little about and even less about how to get out of. His bossy mistress badgers him, figuratively poking his ego, questioning whether he really knows what he’s doing or where he’s going. In this haze of dealing with his wounded pride, he jumps to a conclusion about the intentions of two young Black men he encounters as he searched in the dark for a ramp to a road back to Manhattan. To his credit, he quickly realizes he may have misjudged the two men, but instead of insisting on reporting the incident, he allows his mistress to win the argument as she replays his original assumptions and flatters his male ego by pointing out his heroism at saving her from a terrible situation. Tom Wolfe paints memorable word pictures of the characters, complete with the idiosyncratic dialects of McCoy’s southern mistress and the New Yorkers of various ethnic stripes. He went overboard in his attempt to render dialogue according to dialect, making me thankful that he didn’t try to stick with the non-standard spellings throughout. After getting enough of a sense of the differences in the dialects, I skipped over the transliterations. That cut down a bit on how much I had to read to finish the novel. My specific copy also contained eight entirely blank pages, beginning with page 535 and every three or four pages thereafter until page 563. I didn’t feel I missed anything by skipping those pages. I wish the novel had dealt more seriously with the inciting incident and that more of the characters were changed. But that’s a judgment from 30 years after this book was written. Hopefully, such a story won’t need nearly 650 pages to tell. 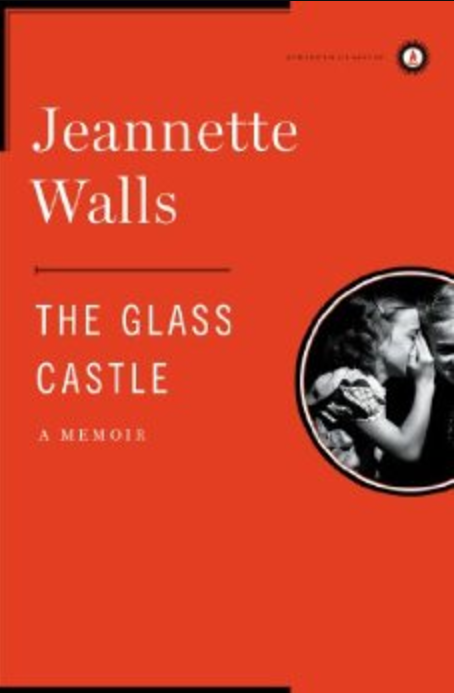 In The Glass Castle, Jeannette Walls tells of her unorthodox upbringing by her artist mother and inventor father, during which she and her siblings—older sister Lori, younger brother Brian, and younger sister Maureen—survived frequent moves across the country, inconsistent access to school, and long periods of poverty so severe the children had nothing to eat and survived by foraging. Her parents believed children needed to learn to fend for themselves instead of being watched over and protected. In spite of the resulting challenges, the children were identified as gifted in most schools. Throughout her childhood, Jeannette believed in her father, even when she knew he was lying to her and was willing to take the little money the family had for food in order to buy liquor. She recognized his brilliance at the same time as overlooking his destructive behavior, at least until she and her older sister Lori were able to devise a plan to escape and live on their own. Yet even after all four children had escaped their parents’ influence, Jeannette kept in contact with her parents, accepting that their lives were consistent with their principals even though Jeannette, Lori, and Brian at least, rejected their parents’ free-thinking foundation. The Glass Castle is a tale of the resilience of children under extreme circumstances, an optimistic story of life moving forward. It is story of love, love by parents of their children and by children of their parents. It is a story of survival against bullying, the effects of poverty and hunger. It could have been a depressing story, but Jeannette’s warmth and humor come through, turning it into a story of redemption and optimism.